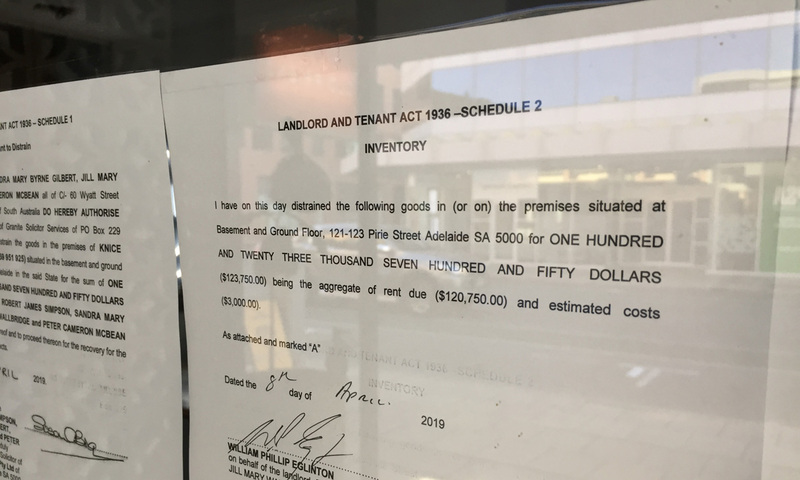 Pirie Street bar and restaurant Old Friend has been evicted and dozens of its assets seized over more than $120,000 in allegedly unpaid rent. 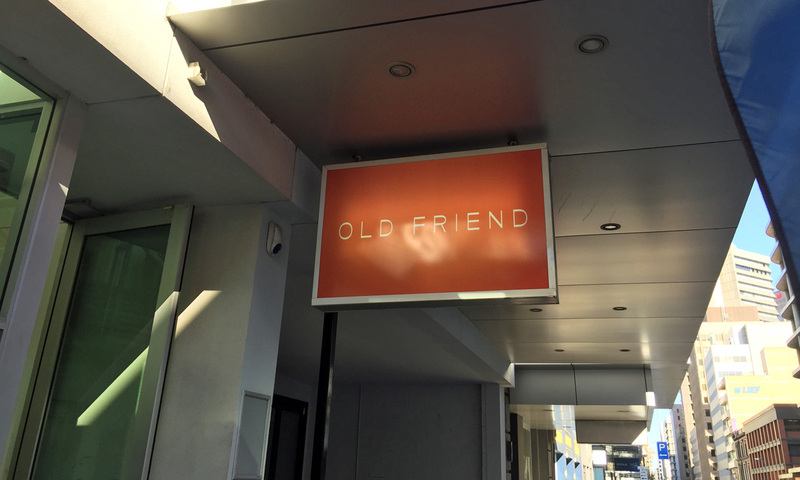 Notices placed on the window of Old Friend this week advise that its lease has been terminated and a long list of assets seized to secure the payment of $123,750 in overdue rent and $3000 in costs. Tables, chairs, beer kegs, wine bottles, a fridge, flat screen TV and projector screen, kitchen utensils, framed prints, a book shelf, pots and pans and a deep fryer are among the dozens of items seized, according to hand-written inventories posted on the window. Two of the directors of the company that ran Old Friend, Knice Enterprises – Brett Viney and Matthew Mitchell – also operated the Archer Hotel, which closed down and was placed under external administration last year. ASIC records show Viney and Mitchell are co-directors of Knice Enterprises. Viney did not respond to a request for comment from InDaily. A new operator for the Archer, ALH Group, last month reportedly said it would reopen the iconic O’Connell Street pub. The eviction of Old Friend comes within a year of a renovation to the front of the venue, which enabled a morning coffee stand and on-site outdoor seating. The bar was formerly branded as Pirie & Co.
InDaily also contacted the landlord’s legal representatives for comment.